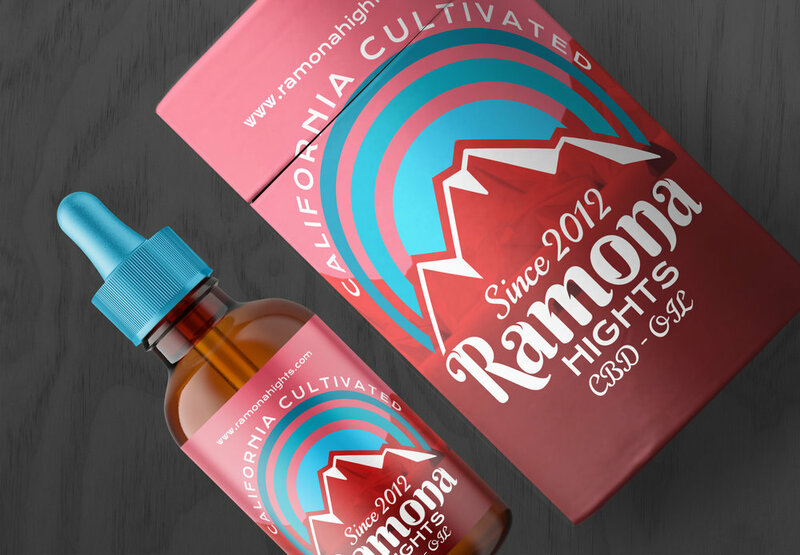 Ramona Hights is a Cannabis growing collective out of North County San Diego. They approached me to help them brand their extremely potent and beautifully manicured flowers, as well as their THC and CBD products that they wanted to make in the future. The project scope included logo design, imagery (still and motion), packaging, marketing materials and so on. Here are a few of the pieces I designed. 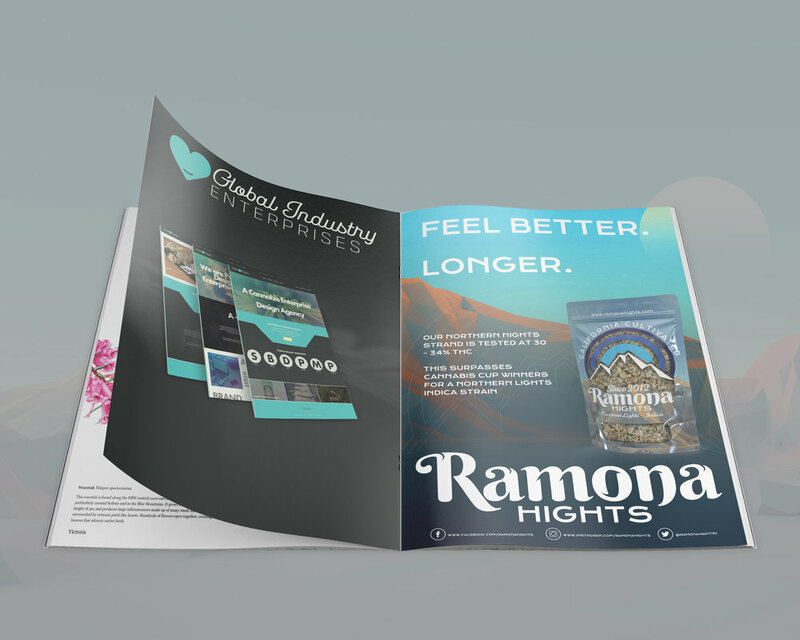 I wanted to show Ramona Hights the scope of what could be done with packaging and marketing material, and how some of that would look. We designed zip natural canvas bags to transport the flower out of the dispensary after a sale, a law mandated my many states now. We also designed packaging, business cards, and brochures to help spread the word. 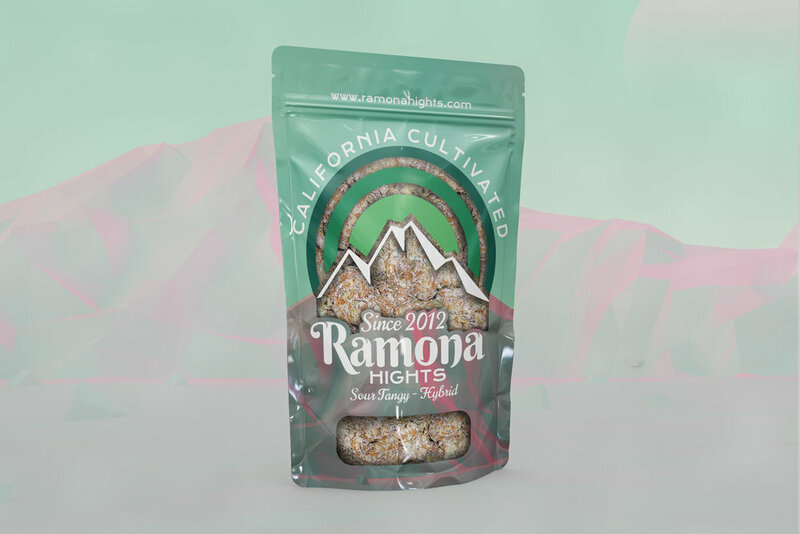 An example of the many types of packaging we designed for Ramona Hights, including jars and POP options. 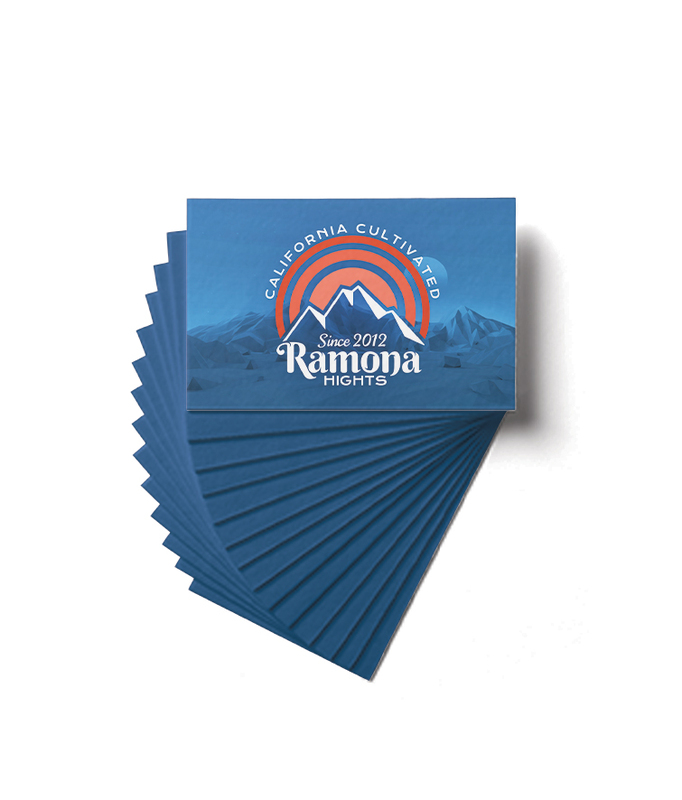 Example of marketing and print material delivered.